Higher Praise is a gospel trio that sings with live music and sound tracks. Our style of music is Southern, Country and Contemporary. 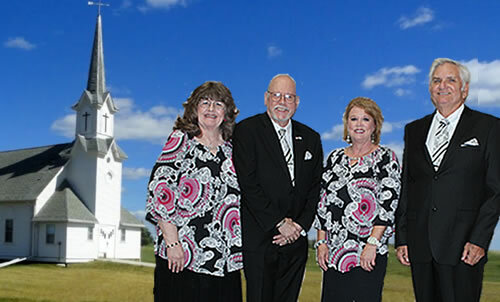 We are available for concerts, revivals, banquets, fund raisers, camp meetings, special services and homecomings. We also minister through the Word of God. Evangelist Emerson Gregg sings lead and baritone and is the spokemsan and contact person for Higher Praise. He is gifted to play a number of musical instruments such as different saxophones, trumpets, bass guitars, drums, and harmonicas. He has over forty years of ministry, having started preaching at the age of sixteen. Rev. Emerson Gregg has served in other areas as well. He's served as a Chaplain, Vice-President for the Ministerial Alliance in the panhandle while pastoring there and President of BYKOTA for two years. In 1998, he was nominated for Male Vocalist Of The Year and Promoter Of The Year for gospel concerts in the Southern Gospel Music Association of Texas, and he was also listed in the Singing News Directory as a promoter. Dawn Gregg is married to Emerson, and in 2015, they celebrated 41 years of matrimony. They have two sons - Brent and Bradley - and a daughter, Heather, as well as several grandchildren. Dawn has been singing since the age of 8 in choirs, at school, and at church. Her parents encouraged their whole family to sing for the Lord. At the age of 10, she learned to play the piano. Then at the high school level, she was in a girl's trio and sang at church conventions and church functions. In 1969 she entered a Teen Talent contest and went to the Nationals in Dallas, Texas. In 1974, Dawn and Emerson married and this began a time of pastoring and later a singing ministry with their three children. Dawn and Emerson carry on that singing tradition today with their daughter, Heather, and their newest member, Danny Leatherman, who sings bass for the group. The main focus of singing is to be a blessing to all we can, and to lift up Jesus in song and word.